One of my favorite things about my job, is lunch with my coworkers; they are my friends. 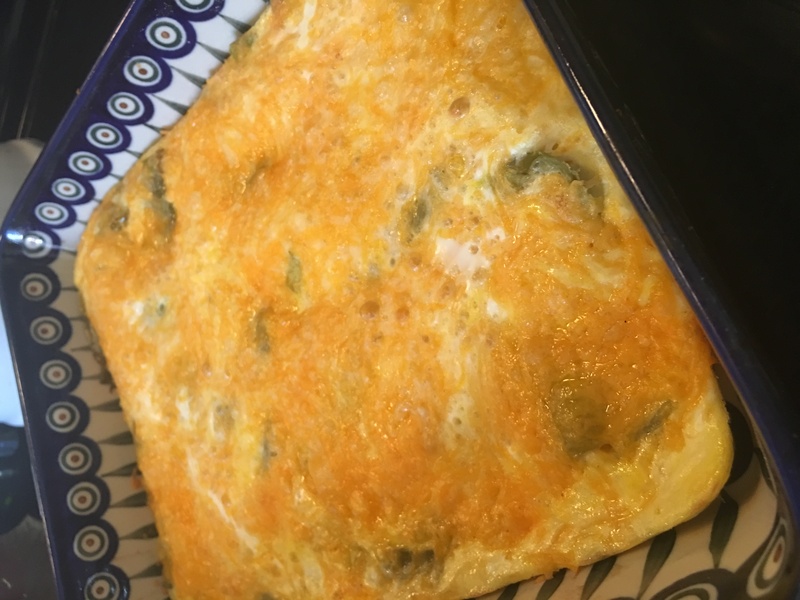 After we all looked longingly at leftover Green Chile Eggs one day, my friend, Kim, was kind enough to share the recipe. It’s something we all fix now. It’s quick and easy. It makes enough to feed a crowd, or it will provide you with leftovers to taunt your work-mates. 😉 I think this dish is suitable for any meal of the day. Sometimes, I make half a recipe in a 9×13 pan, without the sausage. Imagine just three ingredients providing such a hearty dish. Ed and I will eat this half batch for breakfast for three days, so it’s just the right amount for empty nesters. 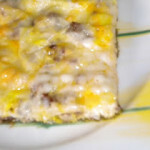 You’ll notice in the step by step photos, that I was making this from memory since I added the cheese before the eggs. Because of this, it seemed like the eggs weren’t going to cover the whole pan, but they moved, expanded, and filled in the gaps like magic. I only used 1 lb. 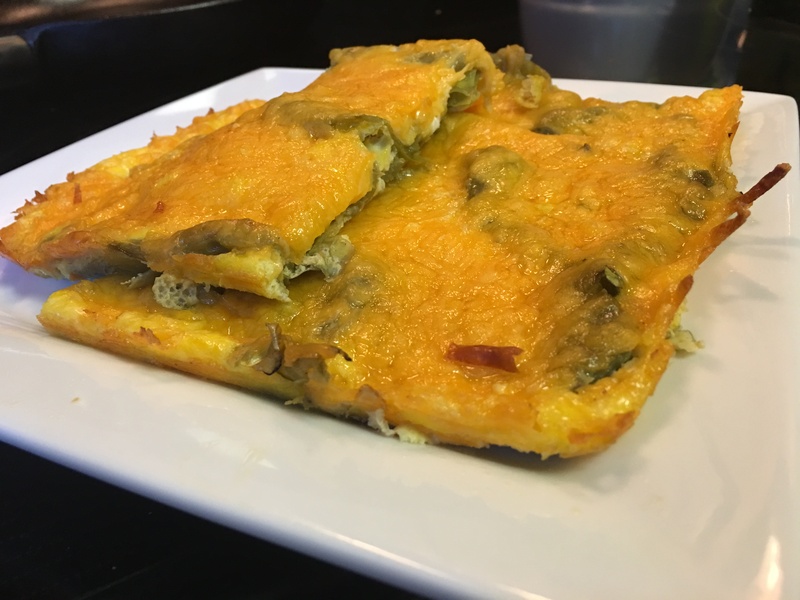 of cheese, Sargento’s Reduced Fat 4 Cheese Mexican blend, but I did add the hot sausage! My half bath baked up nice and fluffy in my Polish pottery. Everything looks better in colorful stoneware. 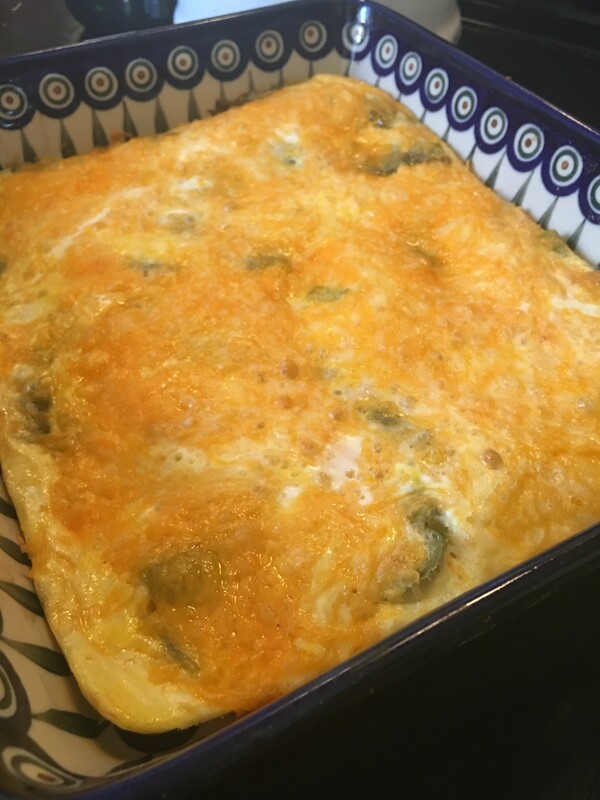 A tasty cheesey casserole, add sausage if you like. It’s a yummy breakfast, great for any meal actually!!! I love chili and eggs! Completely forgot about this combo. Glad you posted your recipe. 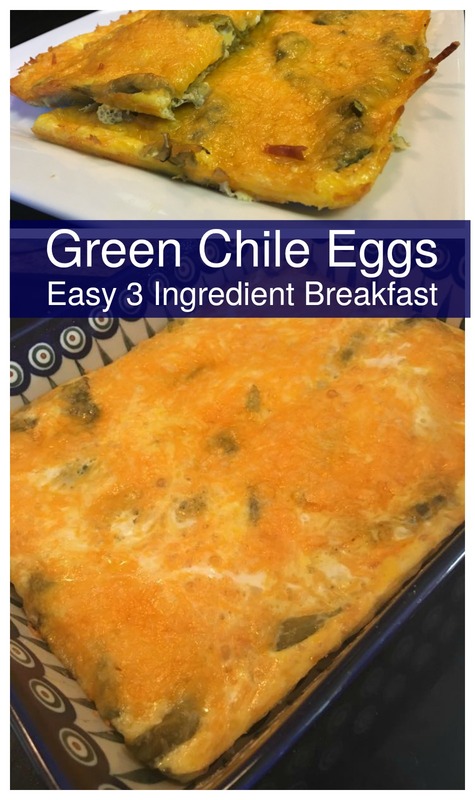 I never thought of making eggs with green chilies in them. I bet a veg breakfast sausage would work, too (or veg chorizo!). this is perfect!the kiddos will surelly love this. look so wonderful! Looks easy & delicious, the 2 magic words!